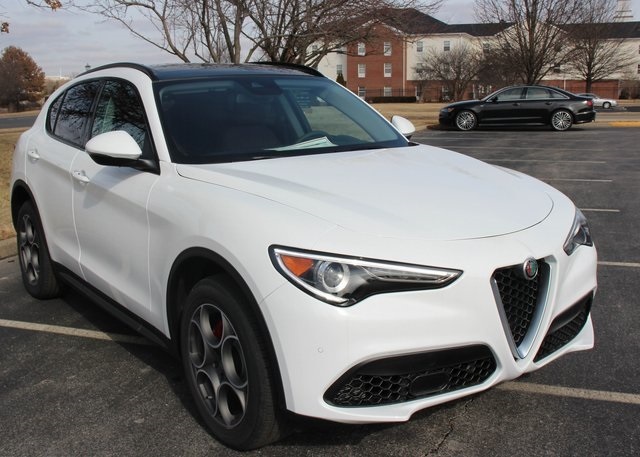 2018 Alfa Romeo Stelvio AWD in Alfa White w/Two-Tone Black/Chocolate Leather, Cold Weather Pckg (Heated: Front Seats, Steering Wheel and Washer Nozzles), Sport AWD Pckg (19-Inch 5-Hole Aluminum Wheels w/All-Season Tires, Aluminum Interior Accents, Black Side Roof Rails, Bright Aluminum Pedals, Gloss Red Calipers w/White Script, Selective Damping Control, Tire Service Kit, etc. 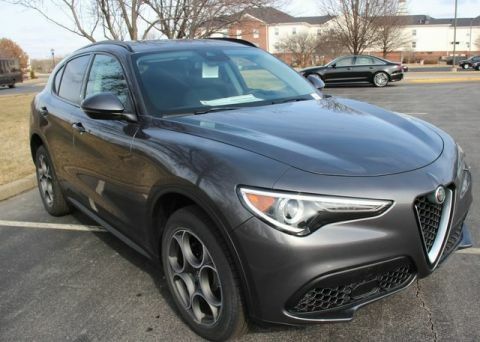 ), Driver Assist Dynamic Plus Pckg (Adaptive Cruise Control w/Stop, Auto High Beam Headlamp Control, Forward Collision Warning, Infrared Windshield, and Lane Departure Warning), Driver Assist Static Pckg w/Front Sensors (Auto Dim Exterior Mirrors, Blind Spot and Cross Path Detection and Park Assist System), Dual-Pane Sunroof, Harman Kardon Premium Audio, AM/FM Bluetooth w/Nav 8.8 Radio, and SiriusXM Satellite Radio w/1-Year Subscription. 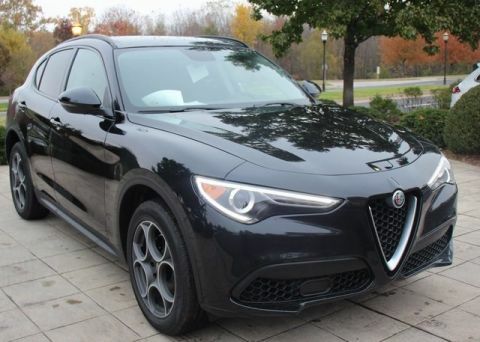 Are you ready for an SUV that was inspired by one of the most challenging roads in the world? 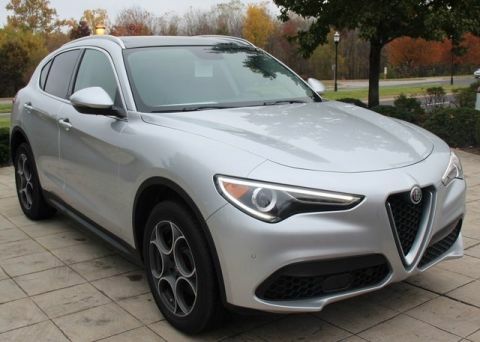 Then visit Alfa Romeo Louisville to experience the 2018 Alfa Romeo Stelvio with its elegant Italian craftsmanship, all-season corner hugging traction, and exhilarating performance.